David graduated from Osgoode Hall Law School in 1976. He was called to the bar in Ontario in 1978 and in Alberta in 1980. David spent his early years practicing law in Alberta, quickly becoming one of Edmonton's leading experts on the Charter of Rights and Freedoms after its introduction in 1982. David returned to Toronto in 1986, where he continued litigating the Charter and developed a reputation as one of Toronto's top criminal lawyers. By forcefully defending the rights of accused persons and standing up against police and other state actors, he has proven himself a force to be reckoned with. David is recognized for winning numerous high-profile, "unwinnable" cases. Among these notable cases is the successful defence of one of the four men accused in 1994's "Just Desserts" robbery and murder. The trial was dubbed as one of the longest in Canadian history. The charges against David's client were stayed after David won a series of key pre-trial motions. David also obtained an acquittal of one of the young men charged in the Boxing Day shooting death of Jane Creba in 2005. In 2011, David, with others, started a G20 class action lawsuit alleging violations of the rights of Canadian citizens and wrongdoing by the police, government officials, and other authorities. A variation of the class action, (with other counsel) is proceeding. David has effectively represented clients at all levels of court in both Ontario and Alberta including the Ontario Court of Justice, Alberta Provincial Court, Superior Court of Ontario, Court of Queen's Bench of Alberta, The Court of Appeal for Ontario and the Alberta Court of Appeal. He has also appeared in the Federal Court of Canada both trial and appellate divisions and in the Supreme Court of Canada. David litigates his cases vigorously; his efforts in court have been described as "relentless" by Justice Trafford. and it has been remarked by Justice Dambrot that David is "never short of ingenuity". In criminal cases where the conduct of the police and the state generally is at issue, he has used the Charter both as a shield and a sword. He has secured remedies including the striking down of legislation, stays of proceedings, exclusions of evidence and costs. David's cases have caused some changes to the law and the manner by which accused persons are treated.
" Mr. Midanik has successfully defended numerous accused persons in many high profile cases. He has argued in excess of 150 reported cases of which 65 are cases relating to the Charter. 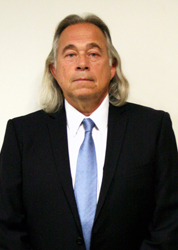 Mr. Midanik has litigated every section of the Charter (...)"
As a veteran trial lawyer with over 39 years of experience, David understands how to achieve the best possible results in criminal cases ranging from 1st degree murder to drinking and driving.